Offer your loved one a relaxing holiday away from it all! Have a romantic dinner in a unique setting! Bring your friends in an interesting location in the south of Transylvania and have an authentic experience! 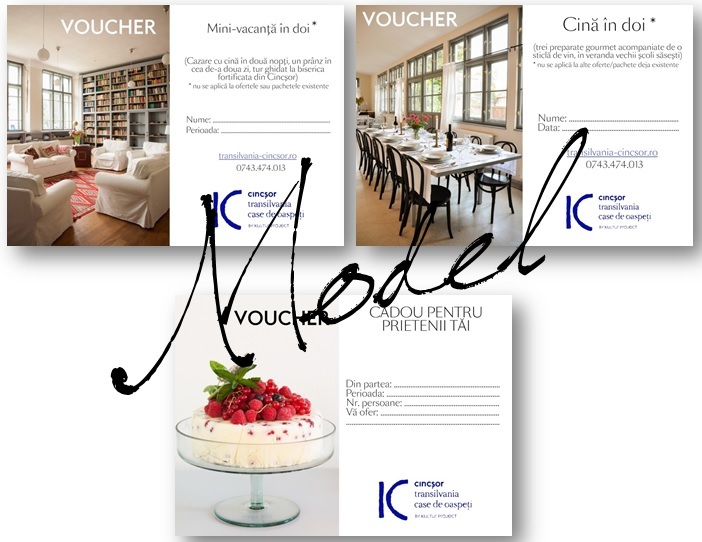 We offer you three vouchers. The procedure is quite simple – contact us and let us know which type of voucher you fancy and we will guide you through the next steps.